10 and 10 – a special offer. 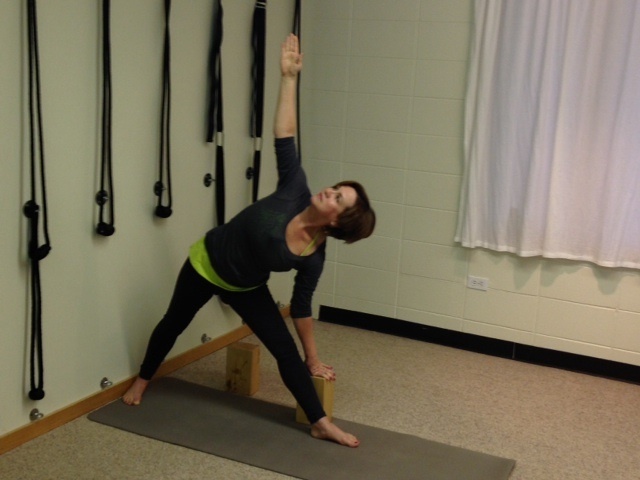 As you may know the Aurora Yoga Center is looking to expand the studio and its offerings. We are currently in the planning phase of space beautification for the front entry way, the back office space and converting the North side of the building into treatment rooms for massage, acupuncture, esthetician, and energy work. The South side of the building, the current yoga studio, will be expanded with the removal of the existing massage treatment room walls and a wood floor will be added to the new enlarged yoga studio as well as a revamped rope wall. We have assembled a great team of designers, builders, and organizers to make these ideas into reality – we just need the funds for these big projects. 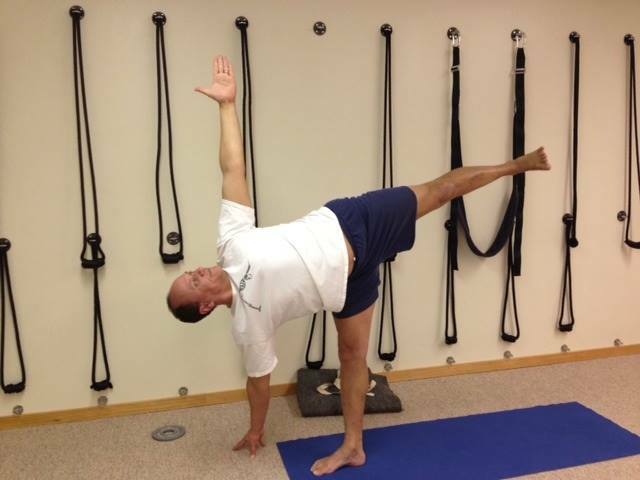 10 and 10 is a limited time offer of 10 private yoga lessons and 10 one hour massages from Jeff Manning. This package offers a $300 savings and the AYC receives some funds to start these expansion projects. This is a unique opportunity to work with Jeff to help you create a customized program to deepen your yoga practice and bring the benefits of regular massage into your life. Contact Jeff at the Aurora Yoga Center if you are interested – 630-730-1029. The Aurora Yoga Center has been built from and for the community in which it serves. All the funding from the 10 and 10 goes to the studio to help enrich the space and offerings for the community. 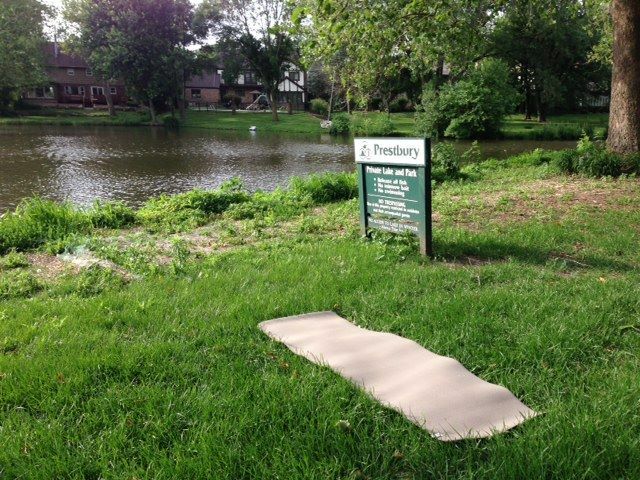 Yoga By Prestbury Lake! Come join us every Wednesday in July & August from 6:45 am – 7:45 am. If it’s raining, class will be held at the Aurora Yoga Center. 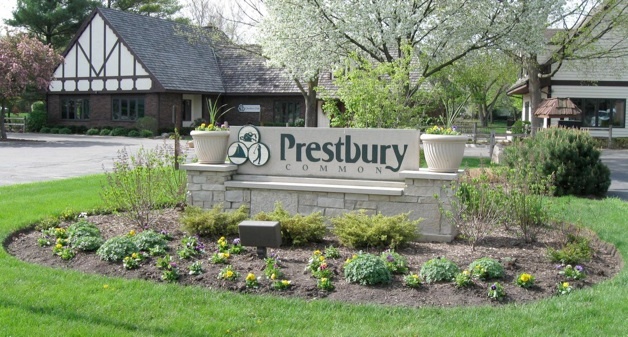 The lake in Prestbury, Sugar Grove is just 10 minutes from the Aurora Yoga Center. The price is only $10 per class. Come for all 9 classes or just 1. Directions: From the Aurora Yoga Center – head West on Prairie Street to Orchard Road. At Orchard turn Right – heading North to Galena Blvd. At the stop light of Galena Blvd, turn Left, heading West on Galena Blvd. Look for Hankes Road – turn Right, heading North on Hankes Road. Follow Hankes Road into Prestbury where you will turn Right on Winthrop New Road. Parking: Park in the Clubhouse/Pool parking lot at 18 Winthrop New Road, Sugar Grove, IL. Yoga Class will take place in the common area between the club house and the pool along side of the lake. It Soon Will Be June! 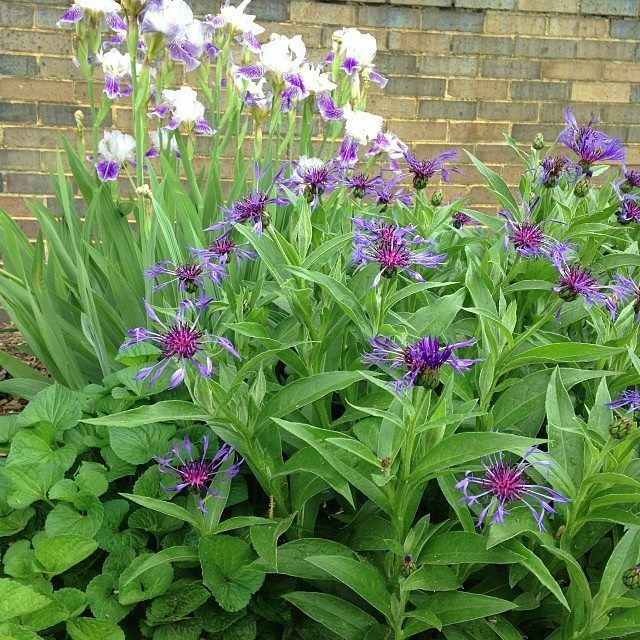 Beautiful irises and cornflowers blooming in the front garden at the Aurora Yoga Center. New 6 week class session begins on Monday, June 2nd. Students may join at any time – with 24 classes happening per week, there is sure to be one that fits your schedule. This Saturday, catch one of Jeff’s famous restorative classes – you will leave feeling amazing. Or try Motomi’s Sunday morning class – you will feel empowered! Enjoy this warmer weather and how your body moves. See you soon at the AYC! 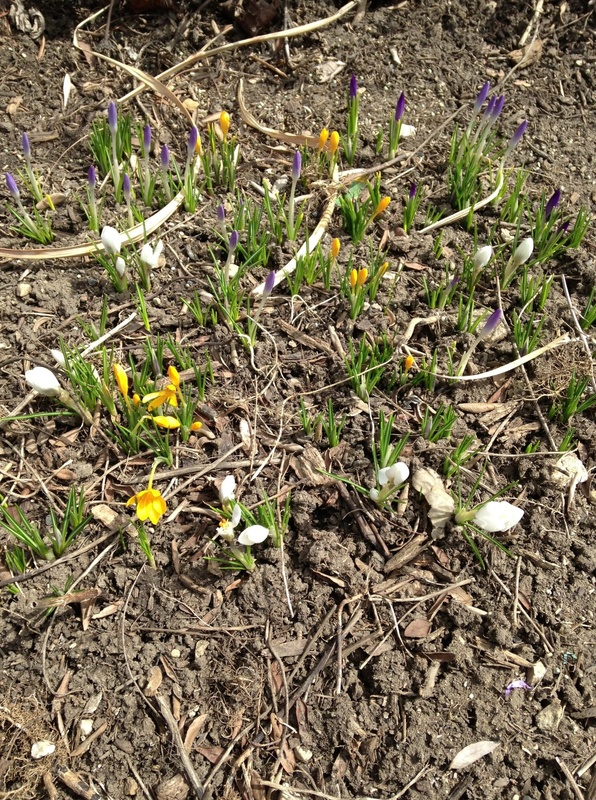 Crocuses in the front garden of the Aurora Yoga Center just starting to open. 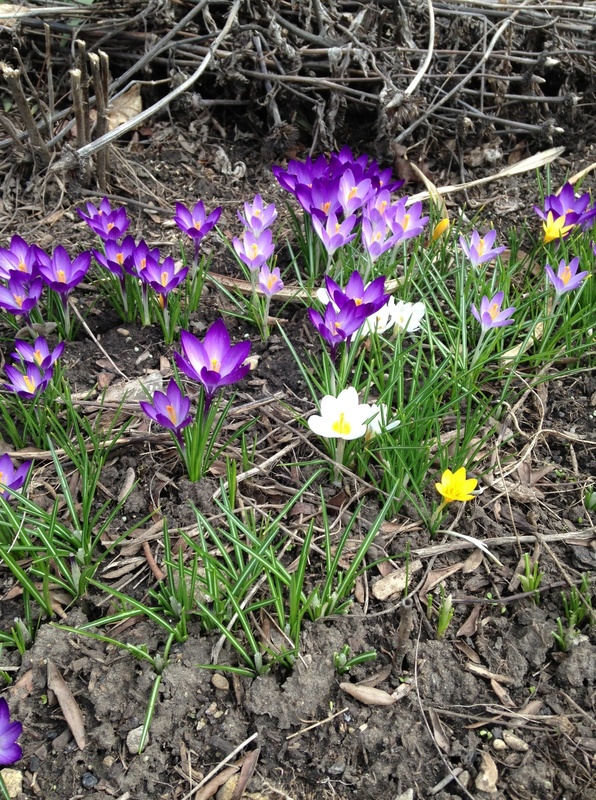 We couldn’t be happier that Spring has finally arrived! In this season of new life, let’s be good to ourselves and move our bodies. Step away from the computer and out your door. It’s time to bend in the garden, walk the dog, ride your bike, and enjoy this glorious season. A regular yoga practice can help you be as comfortable as possible in your body. See you soon at the Aurora Yoga Center! 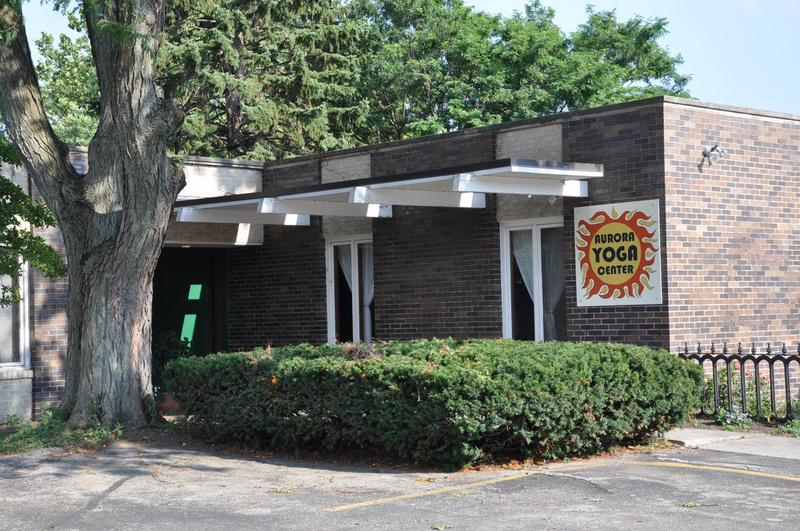 There are some exciting plans for improvements and growth in the works for the Aurora Yoga Center. We are expanding wellness opportunities for the community by adding more treatment rooms to the building. These rooms will be used for massage, acupuncture, and esthetician work. 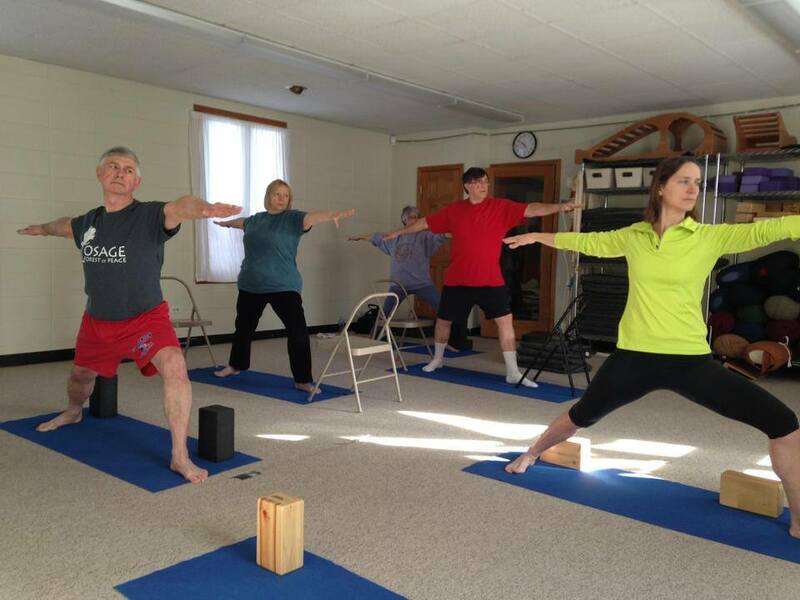 We are hoping to expand the space of the yoga studio and eventually add a new wood floor. Please help us get the word out to more students so that we can get these projects running and make some cosmetic updates to the space as well. – Share the AYC’s Facebook posts on your Facebook page or wall. Not everyone sees the posts in one place, it helps for the posts to be spread around Facebook. If you haven’t already, please like AYC’s Facebook Page. – Bring a friend or two with you to class. Word of mouth and personal recommendations are the absolute best way to grow our business. – Use your smart phone to ‘check in’ when you are at the yoga studio, the more the name Aurora Yoga Center pops up on Facebook and other social media tools the better. These small things will help us get these opportunities off the ground and running for the community. 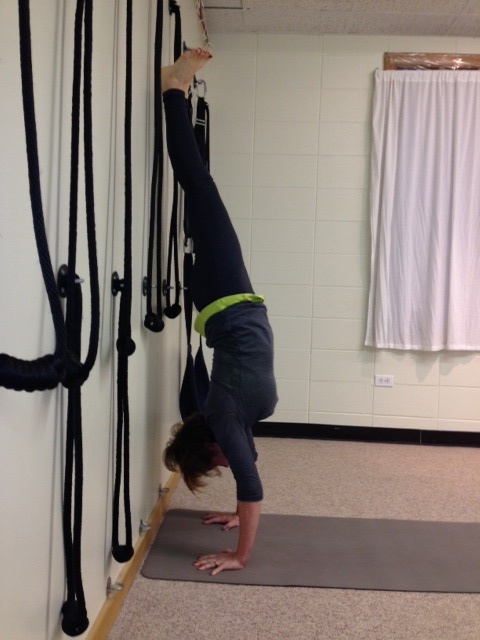 We are excited about the changes and growth coming to the Aurora Yoga Center. It will be three years this July, that Sandy Andry has been coming to early morning yoga classes at the Aurora Yoga Center. 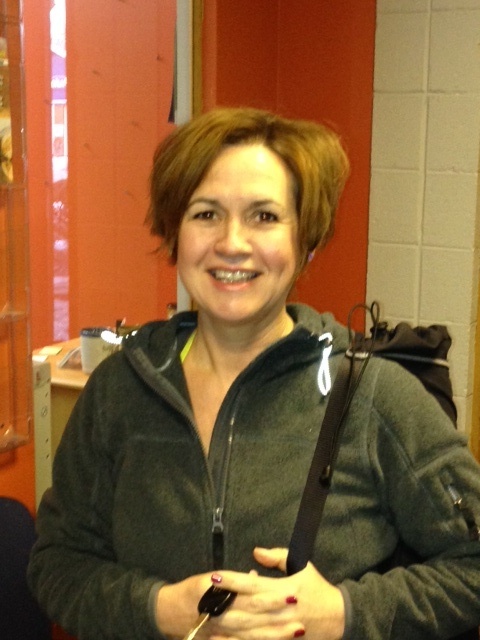 Sandy has a busy life, works full time, however values exercise and makes time for it. The 6:30a.m. yoga class works well for her schedule. What brought her to yoga was a back pain which started after a zip-lining experience on vacation. The airplane ride home further aggravated her sore back, so she tried a chiropractor but, didn’t find relief. She mentioned her back pain at a work meeting and heard great things about yoga from John McEnroe. John & Sandy work together at the Remax office next door to the Aurora Yoga Center. Yoga also helps Sandy in her other exercise routines – she walks and lifts weights, yoga has really made a positive difference in these areas as well. 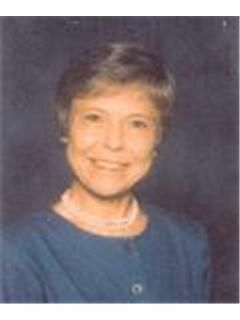 Please join us and Sandy Andry at the Aurora Yoga Center soon! There are over 20 classes per week, find one that works for your busy life! There is a lot happening at the Aurora Yoga Center this month. “I’m too busy” There are 24 weekly classes. “I’m too old” Yoga works from birth to death. “I’m too stiff” That’s why you do yoga. “I have no money” Ask about the Sun Shine Fund. “My back hurts” Learn how Yoga helps manage back pain. “I’m too fat” Size does not matter, your body fits perfectly with itself. “I have no Yoga clothes” A T-shirt and comfy pants is all you need. 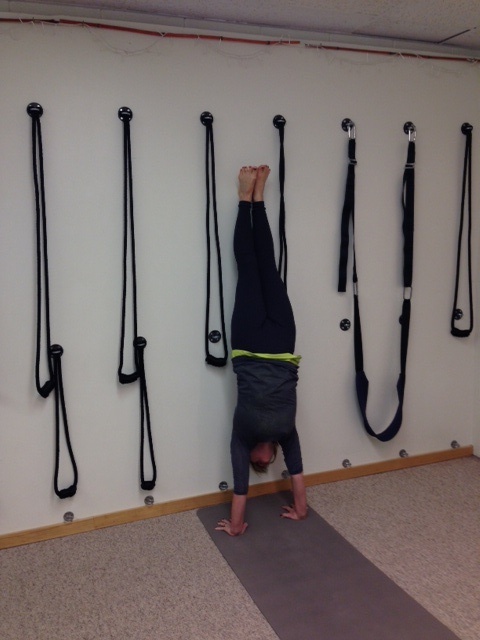 “I don’t have a Yoga mat” The AYC is fully stocked with everything you will need for class. “I’m embarrassed” The teaching staff and the student base at the AYC are very supportive, we all know what it’s like to be new at this art. You just need to show up to a class, no need to pre-register or pay ahead of time. All are welcome to join at any time during the session. The Aurora Yoga Center has donated to St. Baldrick’s Foundation and hope you do too! One of our students, Claire Schiltz is participating in the upcoming St. Baldrick’s event on March 16th from 12:00pm-5:00pm at Ballydoyle – The Irish Pub & Restaurant – 28 W. New York Street, Aurora, IL. Claire’s grandson is a leukemia survivor, so the cause of St. Baldrick’s Foundation is dear to her heart: “… a volunteer-driven charity committed to funding the most promising research to find cures for childhood cancers and give survivors long, healthy, lives.” Claire’s team is looking for supporters before their heads are shaved next Saturday – to donate follow this link: Shaving For the Kids. Another yoga student, Jennifer Putzier and her husband, Ryan, do really amazing things with laser cutting & etching wood. 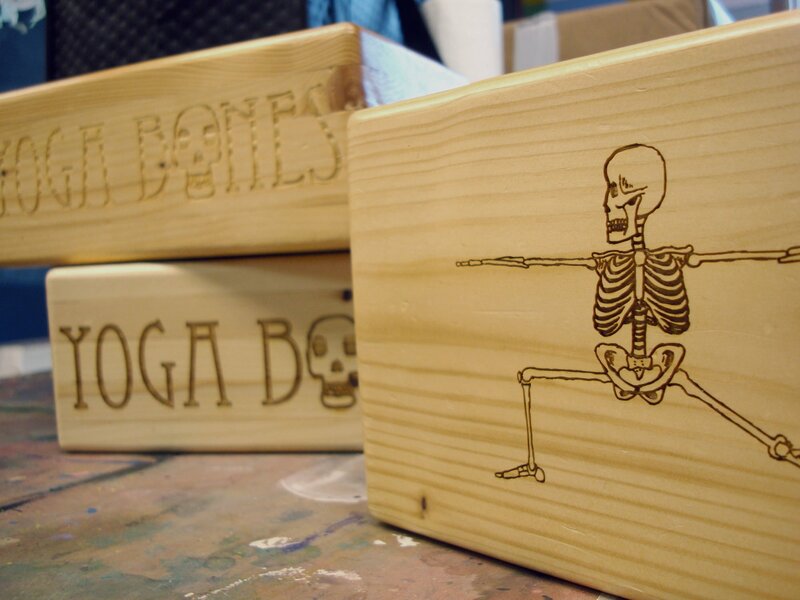 They did a project with Yoga Bones and made awesome etched yoga blocks as a feature for their blog – in which they do a new laser project each week using an industrial laser engraving and cutting platform. Jeff is finally making yoga videos! Jeff was asked by Eat Smart Workout Hard to demonstrate some yoga positions for their series of workout videos. Here’s a sneak peak of Jeff’s videos. 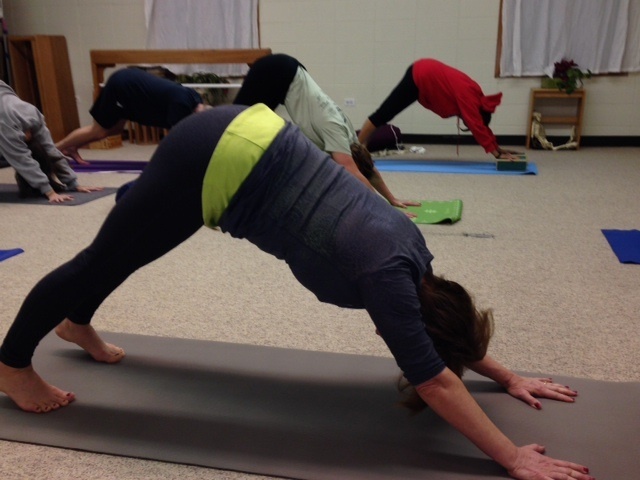 Lisa’s Corner: My yoga practice is going well at 13 weeks pregnant. I am discovering some weak areas like my left leg and my lungs which need more toning. We are excited to now have a Prenatal class at the AYC. This class is not only for pregnant women, but also their partners or other supportive people in their lives. Women who have recently given birth are also encouraged to join this class and bring their infants along, as long as the babies can’t crawl away while we are practicing! Prenatal/Postnatal class is taught by Jeff Manning who has been through lots of training in this area…. Doula classes in San Francisco, assisted Lisa 3 times in childbirth and helped many couples with helpful techniques to get through labor and delivery more comfortably and connected as a couple. 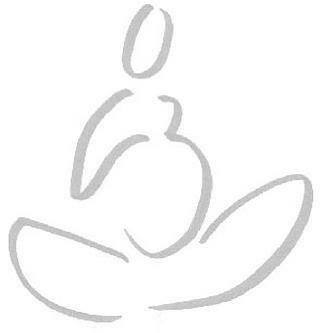 Join us on Tuesday mornings for Prenatal/Postnatal yoga class – 9:30-10:30am. Free Yoga Class – AYC’s Teacher Training class needs to practice teaching. Please come to this free class for all levels of students, Thursday, March 13th, 12:30-2:00pm. Please RSVP to this event or call 630-730-1029, so that we have an idea of how many people to expect. No need to bring anything, just wear comfortable clothing. 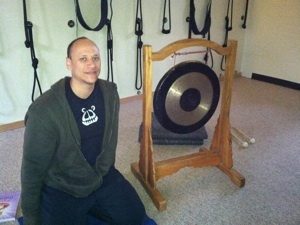 Next Gong Meditation, Friday, March 14th – 6:30-7:30pm. Please RSVP to the event page or call 630-730-1029 to reserve your space.